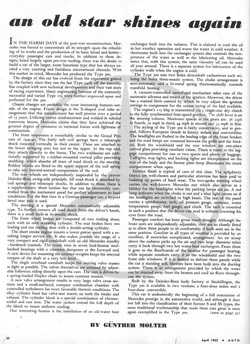 This magazine article from the April 1952 issue of Auto Speed and Sport, annouced the introduction of the 300 Type Mercedes Benz. Unknown to the automotive world, Rudolph Uhlenhaut was using components of this car to build his W194 racer. 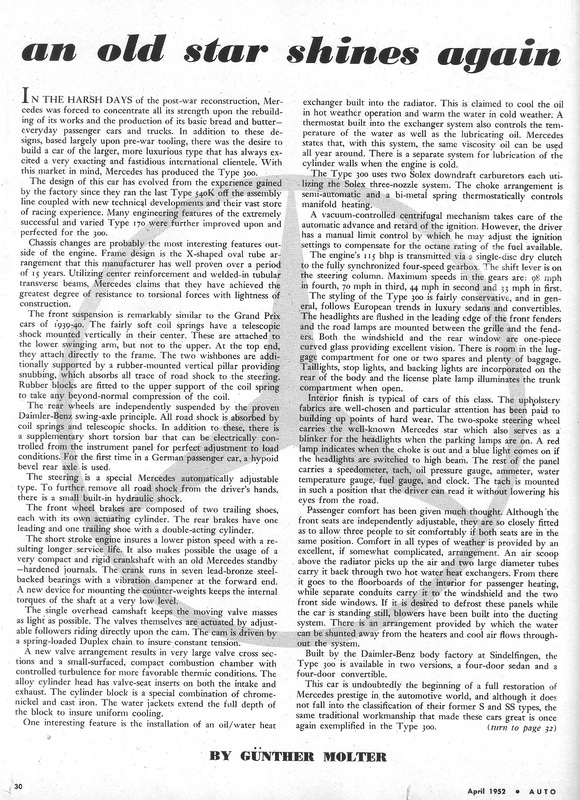 In just a few months from this article appearing, the W194 would shock the racing world and propel Mercedes Benz to the forefront of automotive technology. Click on the image at left to enlarge. 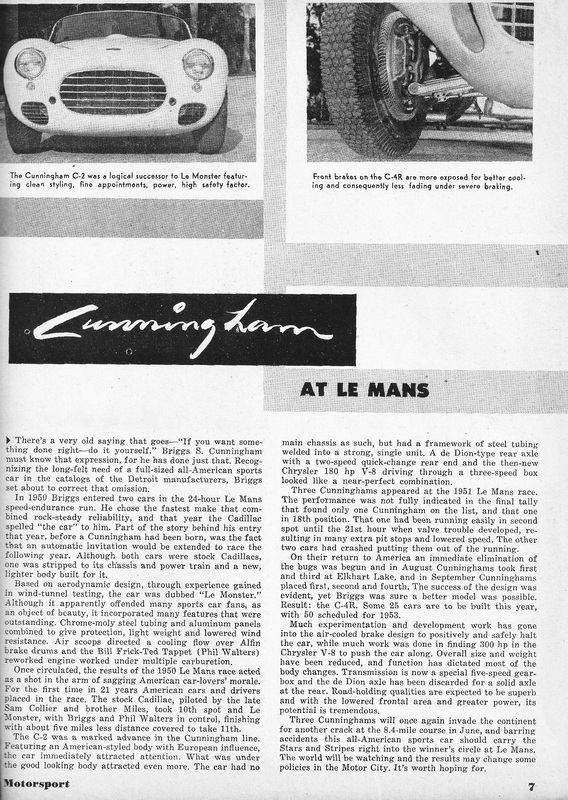 In this article from June, 1952, Motorsport magazine predicted a sweep of Le Mans by the Cunningham cars. No one expected the new W194 racers from the Mercedes Benz team to dominate Le Mans and the other major races that year! Click on the image at left to enlarge.